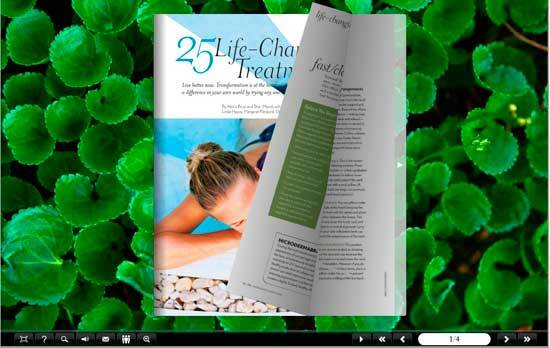 This is a environmental theme subject for Green leaf show refreshed and brief. Fabulous look and feel make the flipbook unique different and attractive. Import and apply easily without any assistant software and complex steps. 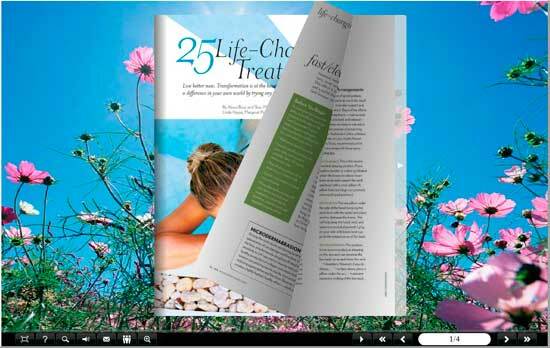 The theme Leaves provides four free refreshed and brief templates assisting you to quick make professional page-flipping book without any complex designing workload in shorter time. Green leaf gathers much appeal of environmental protection and produce fresh oxygen for living things. Many environment protectors tend to get rid of ruin, get approach to green. 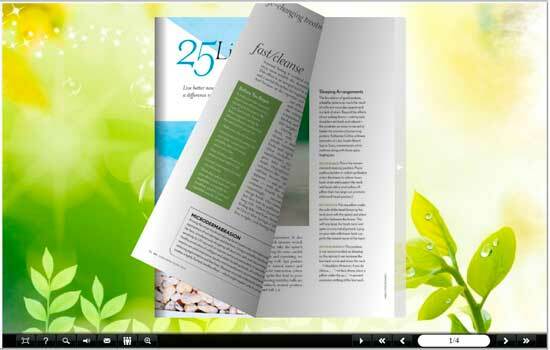 So enclose your flash vivid books with these natural templates will call on environmental awareness more easily. In fact, it just needs simple steps for importing those templates within several seconds. You just need click several times. The fabulous templates could be applied to the flash flipping book with comprehensive functionalities.